The smarter way to watch. The AirTV - Dual Tuner OTA DVR & Streaming Player integrates all your streaming services -- like Sling TV, Netflix, and local channels -- in one place. And because AirTV Player is supported by Android TV, you also get instant access to a world of content and apps through Google Play. 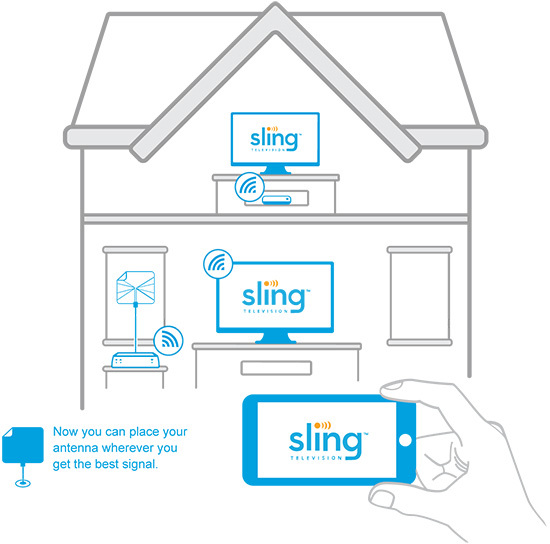 With AirTV you get seamless access to Sling TV channels like ESPN, AMC, HGTV & more. 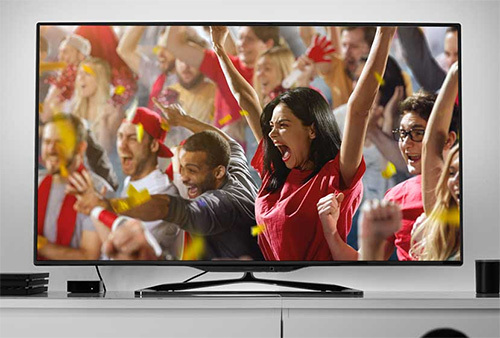 Enjoy free local HD sports and broadcast channels when you connect your AirTV to an antenna. Record local channels with DVR, or combine recordings with Sling TV's Cloud DVR. It's easy-to-use, Bluetooth voice remote that controls your AirTV player, local channels, TV and sound system. 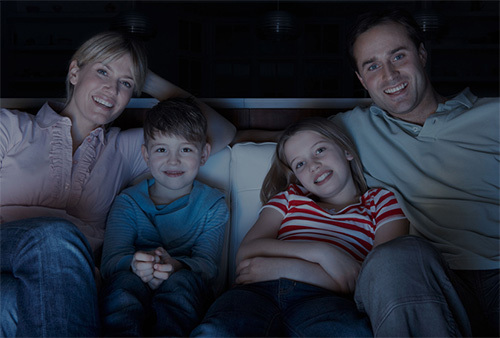 Plus, with the Remote Finder feature, you'll never have to worry about losing your remote again. AirTV connects a single antenna with your home Wi-Fi network to seamlessly stream local channels in HD throughout your house, and even outside the home. 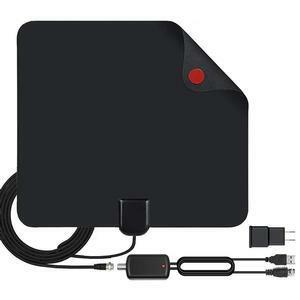 Forget paying a monthly bill for your favorite local channels. AirTV lets you watch local news, sports, and entertainment channels like ABC, CBS, FOX, and NBC. AirTV also comes with a stand-alone mobile app, so you can watch your favorite local channels in HD anywhere with a phone or tablet. AirTV uses your Wi-Fi to deliver local channels, which means one antenna will power every internet-connected TV and device in and outside your home. 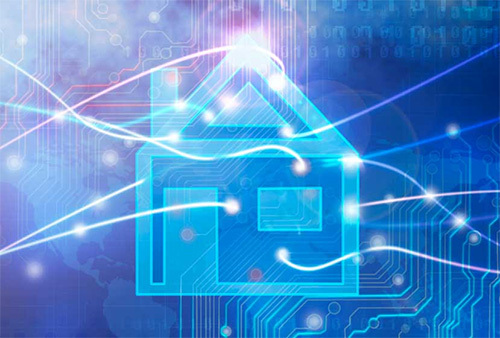 Say goodbye to running cables all over your house! NOTE: Watching local channels outside the home is limited to one stream at a time. 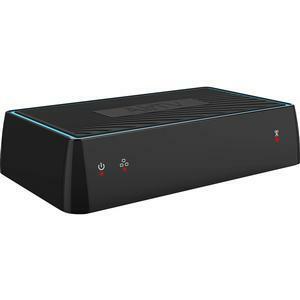 AirTV now offers a whole home DVR solution. Using the Sling TV app (required) and an external hard drive, record and playback live content from any compatible device. Dual Tuner -- Record up to two shows at once or watch one show live and record another. Integrated DVR -- Recorded content will appear alongside Sling TV's Cloud DVR for seamless integration. Functionality -- Pause, rewind or fast-forward recorded local channel content. Sling TV subscription not required. NOTE: Local Channel DVR requires an external storage device (sold separately) to record. Hard drives must be larger than 50 GBs, AirTV currently supports recording up to 2 TBs of storage for DVR. 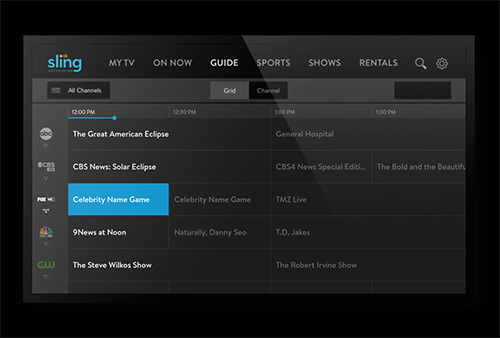 Sling TV's Cloud DVR requires a monthly subscription. Download the app for the device you need to begin your streaming experience. Access your local channels through Sling TV or the AirTV app. NOTE: Apple TV supports the AirTV app and does not currently integrate local channels with the Sling TV app. 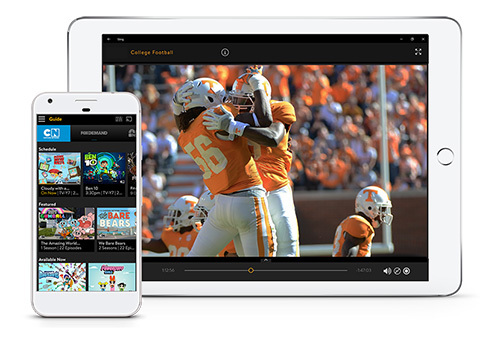 Watch your local channels anytime, anywhere with Sling TV. Sign up for a free Sling TV account and take your AirTV on the go. Don't have Sling TV? No problem, AirTV also works with the free AirTV app, so you have the freedom to watch your favorite local channels in HD wherever you are. AirTV solves the biggest problems associated with antennas, like wiring multiple rooms and finding the right spot to get the best possible TV signal. AirTV connects with your home Wi-Fi to stream local channels to every internet-connected TV and device within range, so you can mount your antenna wherever it gets the best signal without running cables all over your home. 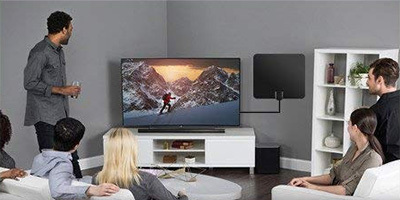 This Indoor Digital HDTV Antenna with Detachable Amplifier Signal Booster allows you to receive free digital broadcast high definition TV signals within a 50-mile range and supports resolutions up to 1080p. It features a multi-directional design that pulls signals from all directions, eliminating the need for constant adjustment. 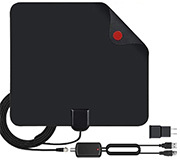 Setting up your antennas is as easy as 1-2-3: (1) Connect the antenna's coax cable into the back of your digital-ready TV. (2) Find the optimal placement for the antenna: hang it on the wall, in the window (strongly recommended) or lay it flat. (3) Scan for available channels - after scanning, you are ready to enjoy your free content. Pair with your favorite streaming device -- AirTV, Amazon Fire TV, Android TV, Apple TV, Roku, etc and get all of your favorite shows with no interruptions -- there's no better time to cut the cord!. 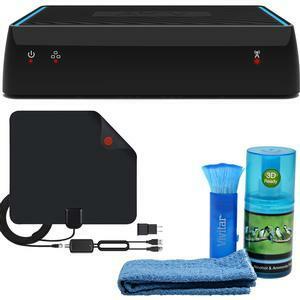 Keep your computer monitor, TV, tablet, smartphone or camera LCD clean with this Vivitar Screen Cleaning Kit. The streak-free and drip-free cleaning solution (6.8 oz. / 200mL) is composed of special ingredient that will not erode the screen, and cleans better than any window cleaner found in your supermarket. It removes grime and spots for maximum resolution and brightness, and it is alcohol and ammonia-free. The Vivitar Screen Cleaning Kit also includes a soft, anti-static brush for clearing away dust, and a textured microfiber cloth for use with the cleaning solution.